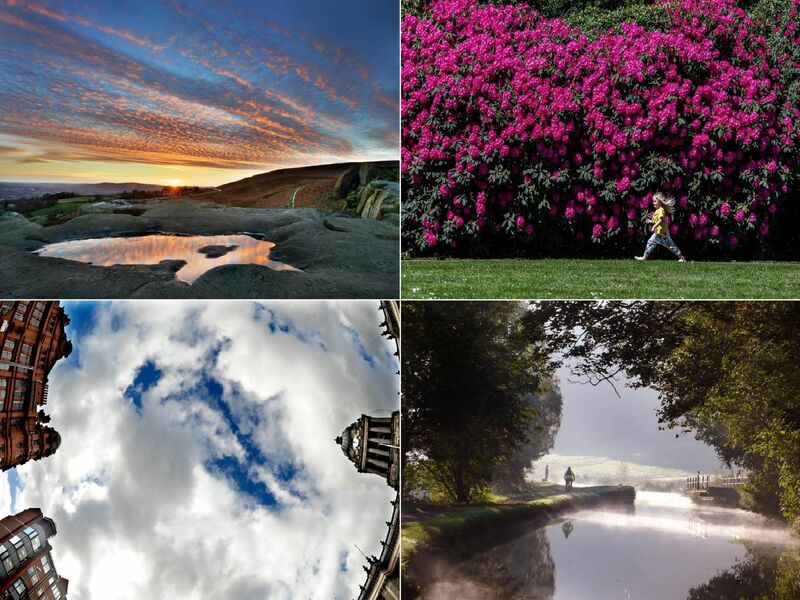 Spring has sprung so what better time to get out and about in your Leeds and enjoy what the city has to offer. The view from the top of Leeds Town Hall. The Headrow is bottom right. Sunrise over the Cow and Calf Rocks above Ilkley. Reflections in the Whitehall II building of Capital Apartments, Leeds, that used to be the Post Office building on Wellington Street.